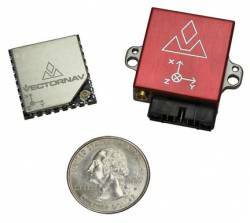 Unmanned Innovation, a provider of development platforms for unmanned aircraft systems (UAS), has partnered with VectorNav Technologies to integrate VectorNav’s VN-100 inertial measurement unit (IMU) into Unmanned Innovation’s os-Series Autopilots. The VN-100 uses the same base IMU components (gyro, accelerometer, magnetometer) that are used to support the VN-200 GPS-aided integrated navigation system surface-mount chip that VectorNav introduced at this year’s Association for Unmanned Vehicle Systems International (AUVSI) North America conference. The two company’s collaboration begin at AUVSI 2012, in the wake of which Unmanned Innovation decided to replace ‘s existing inertial measurement sensors in the os-Series Autopilots with the VN-100, given the product’s small form factor, calibration precision, and cost. VectorNav provided custom firmware with a faster update rate to make the IMU compatible with Unmanned Innovation’s requirements. According to Unmanned Innovation, of Newport Beach, California, the os-Series Autopilots — made commercially available for the first time in November 2012 — offer a customizable solution that enables rapid prototyping and cost-effective production of fixed-wing, helicopter, multi-rotor, and custom configuration UAS. The complete os-Series product line is currently shipping to customers in the United States and abroad and is free of ITAR (International Traffic in Arms Regulations) restrictions, according to the company. 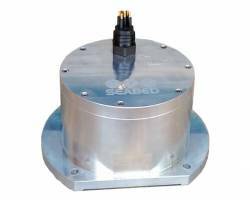 About the size of a postage stamp, VectorNav’s VN-200 provides a coupled position, velocity, and attitude solutions suitable for a wide range of static and dynamic operating conditions. The company says that the VN-200 onboard microprocessor runs an aerospace-grade Kalman filter algorithm at a rate of up to 200 hertz and provides accuracies better than 0.25 degrees in pitch and roll and 0.75 degrees in heading. Founded by five graduates of Texas A&M University in 2008, VectorNav Technologies is based in Richardson, Texas.